The Corralejo Playa Blanca ferry route connects Fuerteventura with Lanzarote and is currently operated by 3 ferry companies. 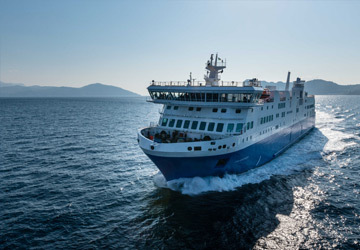 Naviera Armas operate their crossing up to 6 times per day, Fred Olsen Express 7 times per day & the Lineas Maritimas Romero service is available up to 4 times per day. There are a combined 17 sailings available per day on the Corralejo Playa Blanca crossing between Fuerteventura and Lanzarote and with 3 ferry companies on offer it is advisable to compare all to make sure you get the best fare at the time that you want to travel. Prices shown represent the average one way price paid by our customers. The most common booking on the Corralejo Playa Blanca route is a car and 2 passengers. We stayed at Corralejo for a week and took the ferry to Playa Blanca for another week's holiday. 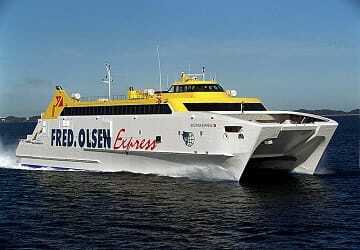 Booking online from the UK was easy and the ferry's ran regularly even on Sunday which was the day we transferred. We booked in at the office at Corralejo and then boarded the ferry. A member of staff took our cases as we were on foot and we walked straight up two flights of stairs to the lounge area and sat at the front. The lounge area was very nice and air conditioned. The view at the front of the lounge was good and the crossing was smooth and on time. Disembarking was instant and our cases were waiting for us. Overall, a hassle free trip. 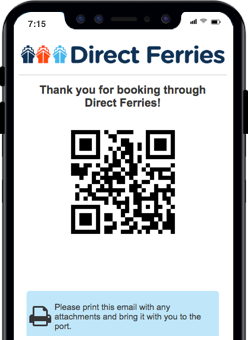 The ferry between Corraljo and Playa Blanca was most enjoyable however, it does not cater very well for disabled passengers. There was absolutely no assistance offered. An excellent trip between Corralejo and Playa Blanca. The boat was smaller than I had expected it to be and It was quite a windy day so the sea was rather choppy; nevertheless, the trip was fine - good fun really. Located on the northern tip of the island of Fuerteventura, facing the small islet of Lobos, the town of Corralejo is a seaside resort that is around 3 sq km in size. This makes it quite a large resort on the island although despite this it has managed to retain its fishing village charm which remains the heart of the town. There is now a promenade along the waterfront which is lined with bars, cafes and restaurants for visitors to enjoy. Most visitors to the town head to its beaches which are probably the town's most popular attraction. With around 11 km of beaches which begin just outside of the town, visitors will be spoilt for choice. The water off the beaches is crystal clear and a deep shade of blue. There are two ferry ports in the town's harbour along with a marina. There are many excursion available from here including trips in a glass bottomed boat, deep sea fishing and jet ski hire. Ferry services from the port depart Lanzarote. The port has two ticket offices and a cafe. Playa Blanca is a resort that is located on the Spanish island of Lanzarote which is one of the Canary Islands. The resort is well known for its good selection of shops and restaurants with perhaps the most popular districts being located along the Calle Limones Street, lining the promenade and at the Papagayo Centre. The resort's coastline is essentially one large bay which is 9 km wide but is broken up into three smaller bays. The bays are named, from east to west, Playa Dorada, Playa Blanca and Playa Flamingo. Because of terrain surrounding the resort, its beaches are sheltered and provide visitors and locals alike with an ideal place in which to swim. Located around a 15 minute walk from Playa Blanca is Marina Rubicon where twice a week markets are held selling goods ranging from handcrafted goods to local wines. A popular attraction that is a short distance from Marina Rubicon is the Castillo de las Coloradas which is located on the headland of Punta del Aquila. This was constructed between 1741 and 1744 and provided good protection through its strong circular construction and its drawbridge. When pirates were approaching the coast, the watchtower's bell would be rung as an alert. 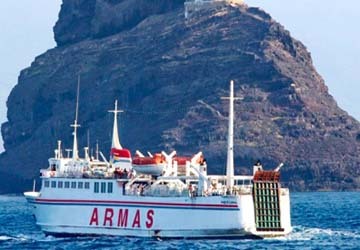 Ferry services operating from the town's small port depart to Fuerteventura, with many sailings each day.